Founded in 1857, Assumption University was the parent institution of the University of Windsor that we know today. Football was part of the athletic life of Assumption College just as it is today at the University of Windsor. 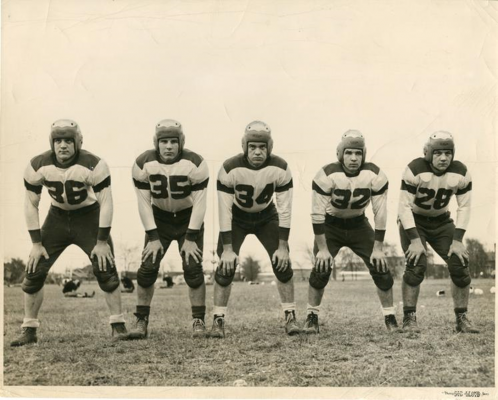 Leading up to the Super Bowl this weekend, we'll be sharing some pictures and tidbits from Windsor's football past! The Assumption College Purple Raiders defeated the Sarnia Squires on Friday, October 14, 1949? You can find a full play-by-play recap of the game in the October 19, 1949 issue of the Purple and White newspaper, brought to you by the Centre for Digital Scholarship at UWindsor. 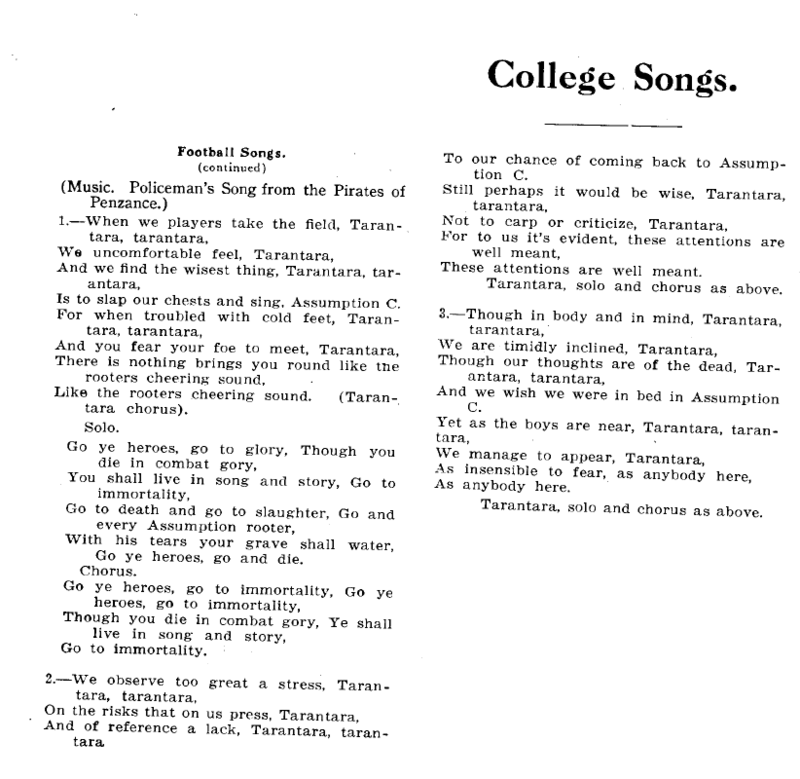 Assumption college also had several football songs including the one below which was sung to the tune of the Policeman’s Song from the Pirates of Penzance.